I know I’ve not blogged in a few days, but I have a good excuse, I swear! 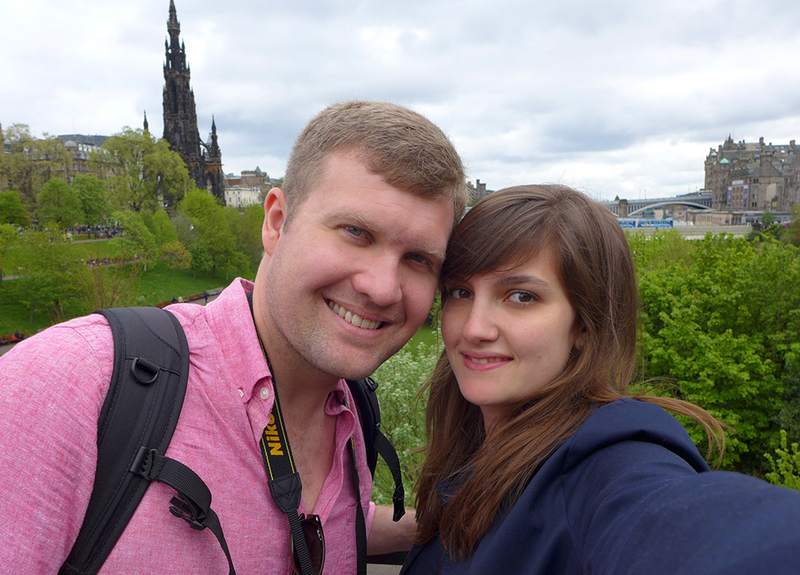 Last week, Ryan and I popped over to Scotland (via Ireland) for a wedding – and got to work on a long list of things we wanted to see//eat//do. It means that we’ve returned from the holiday more tired than relaxed – but it also means I now have lots of our adventures to share with you. 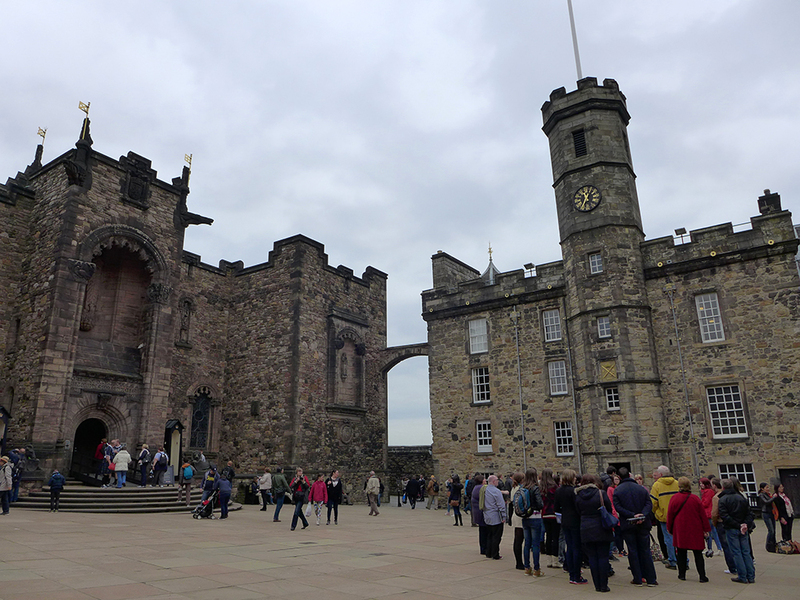 After landing in Edinburgh, we started with the most obvious: Edinburgh castle. 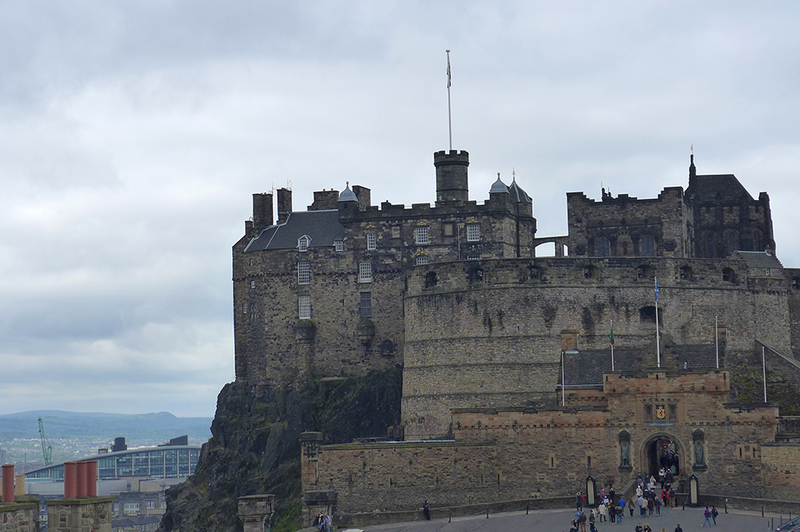 Perched high on an extinct volcano and looking down on its city, the Edinburgh castle is an integral part of the Scottish capital’s skyline… but I’d never actually been there. 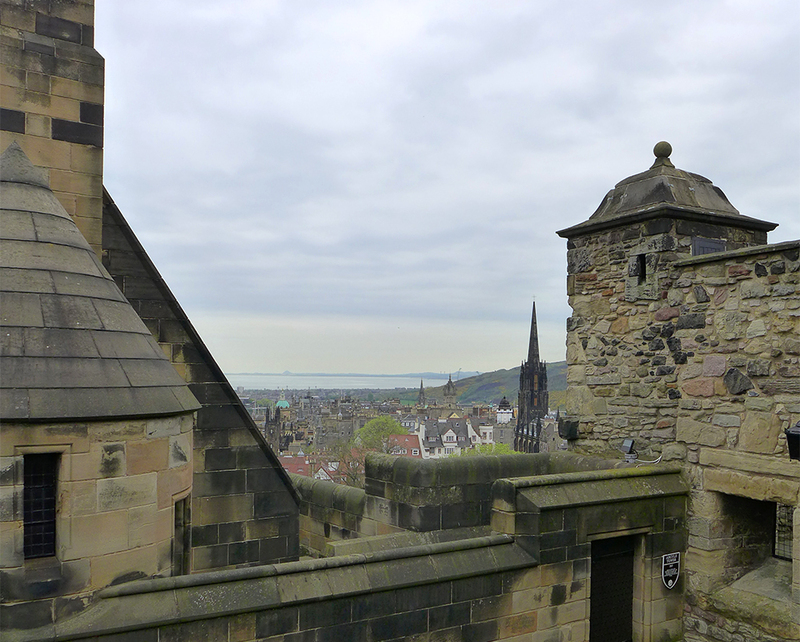 And I really have no excuses; I went to university an hour north of Edinburgh and still have friends there, so I’ve visited many, many times (and each time I head back, it’s a real effort to pull myself away). 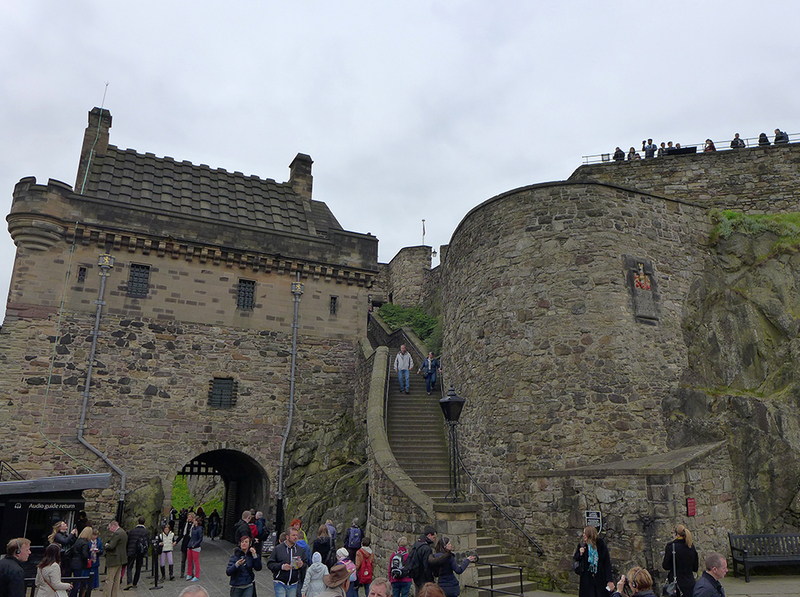 With the wedding scheduled for that afternoon, Ryan and I woke early and headed to the Royal Mile, meandering past the pipe players and tweed stores to the castle gates. Then we explored. 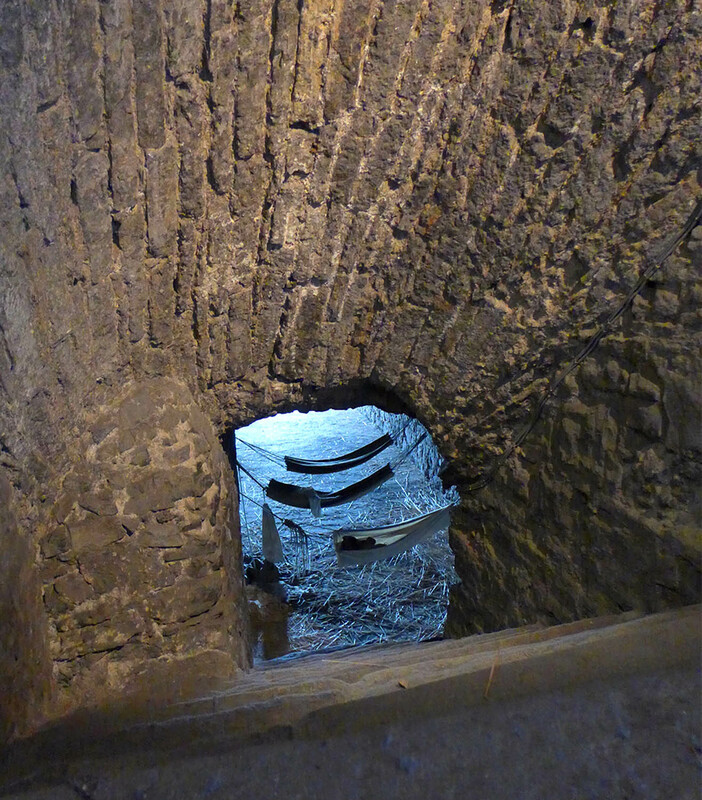 As we walked along the pathways that date back to the 12th century, Ryan asked me questions about British history – barely any of which I could answer. I quickly realized that if I made it up, he didn’t know any different anyway. And that’s okay, isn’t it? 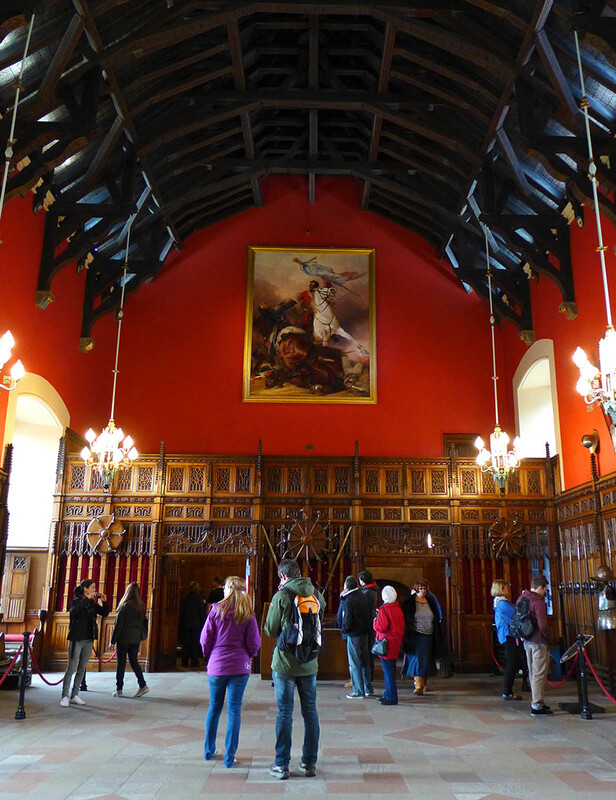 As well as the gorgeous views over the city, my favorite part of the museum was the jail for criminals and prisoners of war, while Ryan enjoyed the Scottish Crown Jewels. 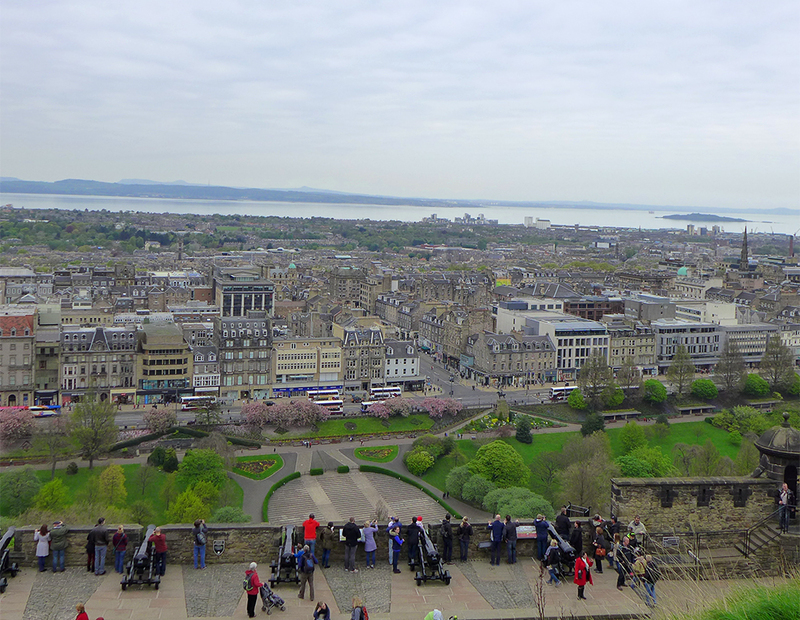 The only problem were the crowds and the pesky construction works (which seemed to be everywhere on our trip). 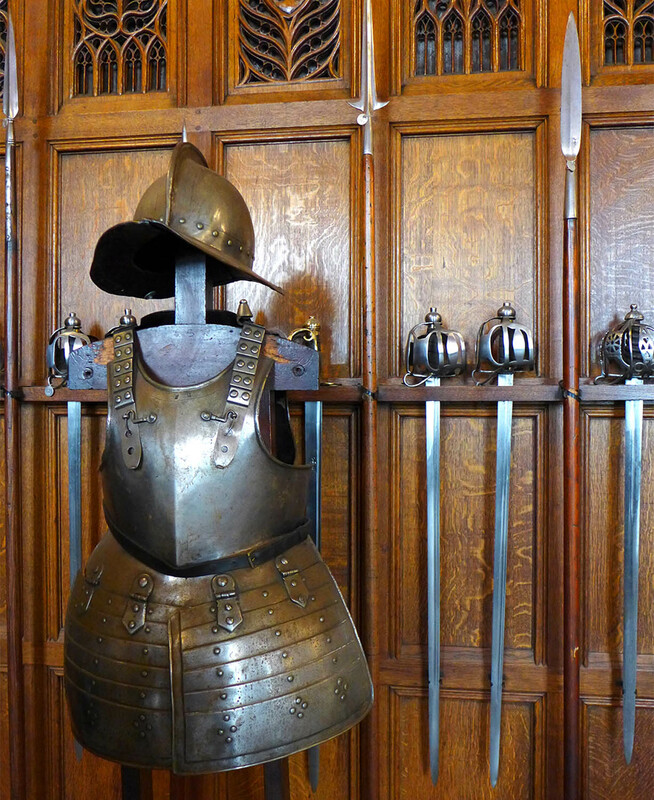 In another part of the castle, a lavish room was filled with swords and armor, in a nod to its past as a garrison and a military hospital. 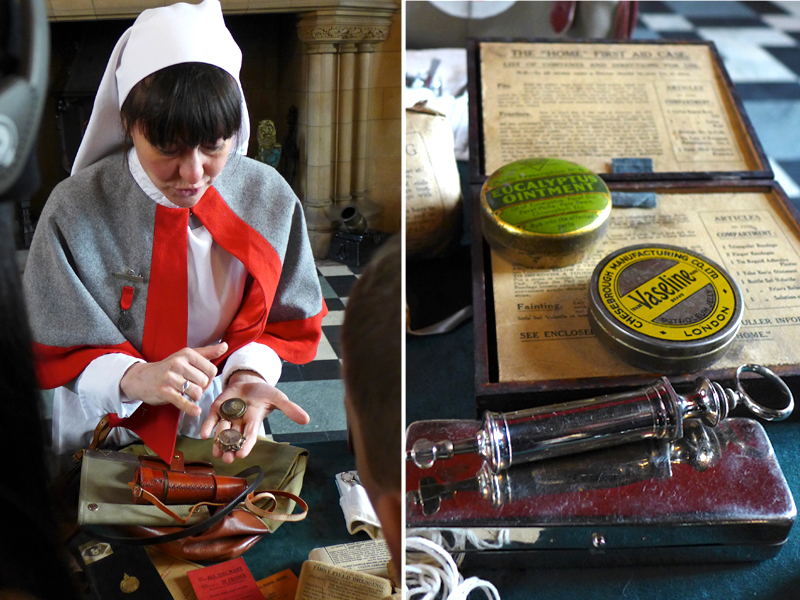 Staff dressed in old uniforms showed us some of the vintage medicines and terrifyingly large needles. 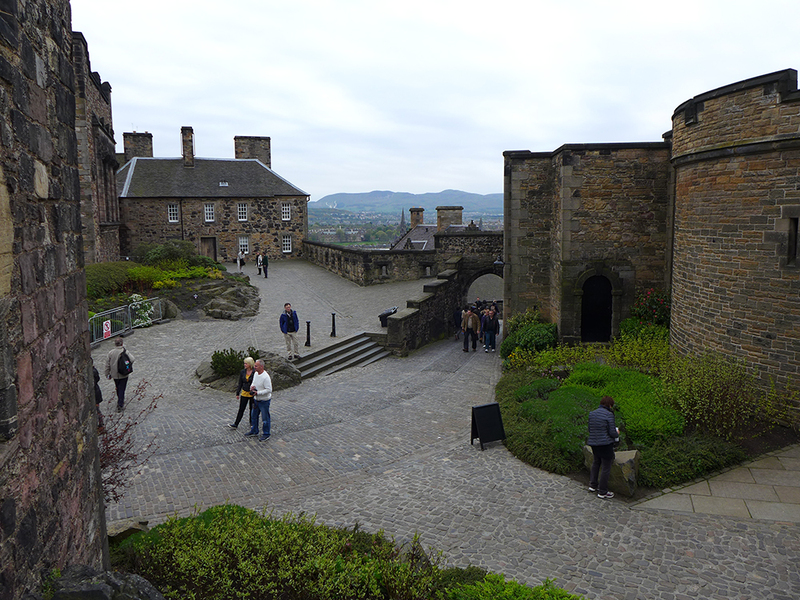 I find castles pretty scary (they make me think of cold dark corners and deadly battles rather than pouffy dresses and banquets) but Edinburgh’s light-colored rock and open courtyards made the whole place a little less threatening. 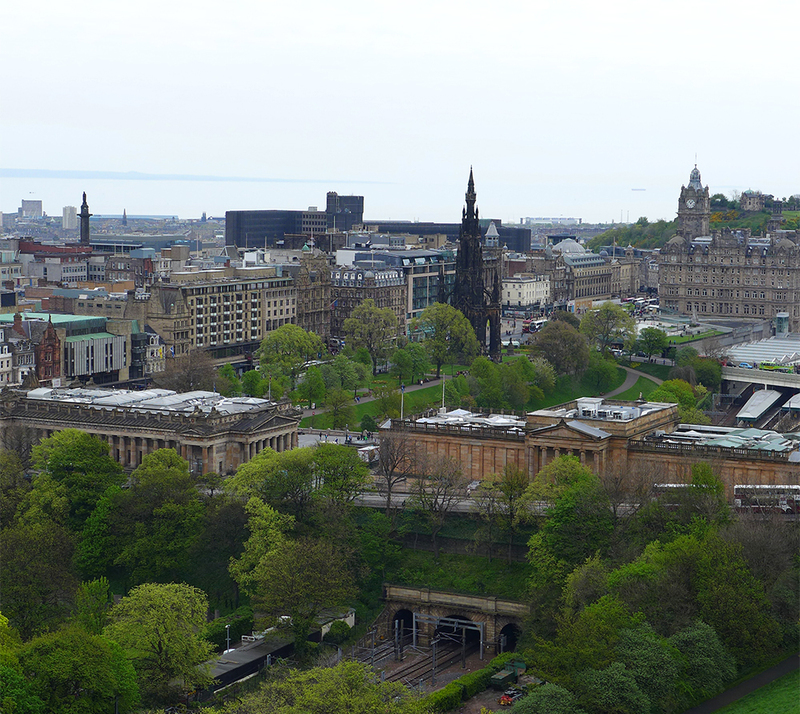 There’s plenty to see and it also gives you a great bird’s eye view over Edinburgh, which helps you get your mind around the layout of the city, so I’d recommend checking it out. See their website for more information. 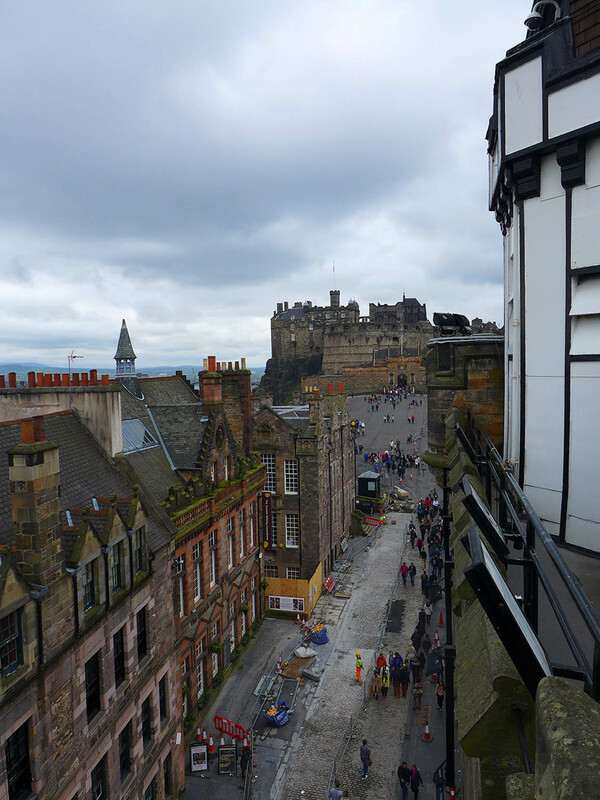 We loved it but had to peg it back down the Royal Mile after a couple of hours to primp and preen ourselves for the wedding. Pictures to follow! Lovely photos and amazing views.